The introduction of safety management systems (SMS) across aviation has led the industry to change the way it manages its safety performance. Historically, the focus was on making equipment more reliable and line operators more aware of human performance limitations in interactions with machines, with other human beings and in the operating environment. Lessons were derived primarily from accident and incident investigations. But increasingly, SMS is leading the industry toward holistically looking at the production process and finding room for improvement in it. The proactive approach endorsed by ICAO in the SMS framework increasingly is mandated by national aviation authorities, and the offshore helicopter transportation sector is embracing it in a consistent fashion and is moving toward becoming more integrated and collaborative, with the focus being the improvement of safety performance. HeliOffshore, an industry association started in 2014 by five leading helicopter operators, is one of the organizations trying to drive safety improvements in the offshore helicopter industry, in part through the development of safety data collection, analysis and sharing initiatives. Today, London-based HeliOffshore has 115 member companies, including 40 operators, which are actively collaborating to develop and implement safety programs with the greatest potential to enhance safety in offshore operations. HeliOffshore aviation safety information initiatives started in early 2016 with the launch of the InfoShare program, which is a platform for sharing safety events among operators. InfoShare is being expanded in scope to include topics such as helideck safety as part of the broader HeliOffshore Safety Intelligence Programme (HSIP), which is a platform for sharing and analyzing data from frontline operations. 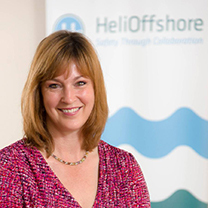 “Through InfoShare, helicopter operators are sharing with other operators … safety event reports they think other operators should know about, both to make other service providers aware of an issue and to identify where solutions are already available,” says Gretchen Haskins, chief executive officer of HeliOffshore and a member of Flight Safety Foundation’s Board of Governors. 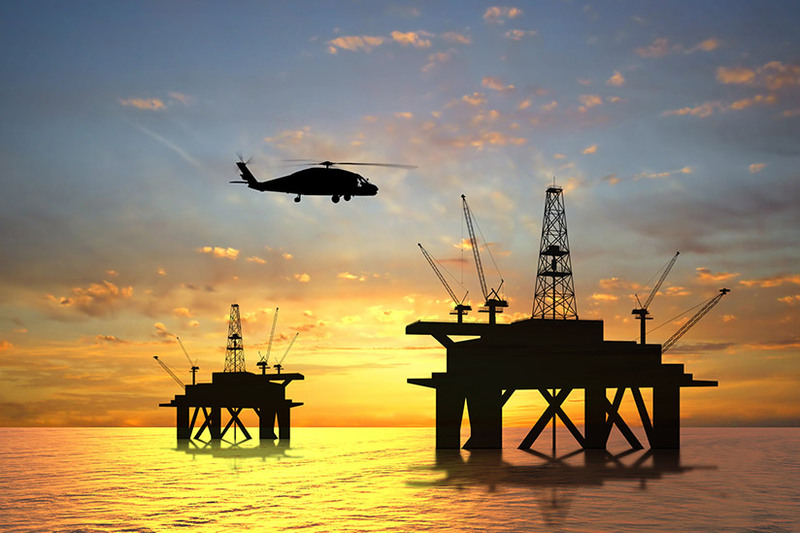 It is through HSIP that HeliOffshore has introduced incident analysis of safety data. As part of HSIP implementation, HeliOffshore is collecting day-to-day aviation safety data in frontline operations to identify major trends. HSIP is giving the offshore helicopter industry a picture of its safety performance by delivering a growing volume of data that supports multiple aspects of HeliOffshore’s collaborative work to avoid accidents. 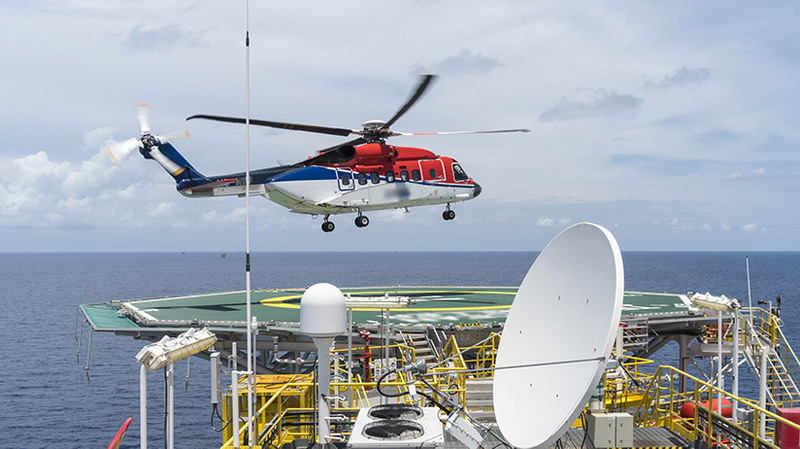 Data are being submitted by operators accounting for more than 80 percent of aircraft in the combined fleet of HeliOffshore member operators. HSIP also is collecting helicopter flight data monitoring (HFDM) data to support HeliOffshore’s flight path management work group in preparing the latest revisions to its approach path management guidance materials, which are due to be published in 2019. HeliOffshore aims to be able to collect and analyze data in a way similar to that of the Aviation Safety Information Analysis and Sharing (ASIAS) system in the United States. ASIAS is a safety program managed by the U.S. Federal Aviation Administration (FAA) that enables users to perform integrated queries across multiple databases, search an extensive warehouse of safety data and display pertinent elements in an array of useful formats. Most of the operators contributing data to, and participating in, ASIAS are U.S.-based commercial air carriers, but a growing number of corporate/business operators also participate. According to FAA, ASIAS connects approximately 185 data and information sources across government and industry, including sources of voluntarily provided safety data. “ASIAS takes all the flight data monitoring (FDM) and air traffic ‘raw’ data into its database and identifies trends. If, for example, there are too many ground proximity warning alerts near a particular airport, they can derive that information without needing for a report to be filed. This is what we aim to be able to do by means of our own database in the future,” says Haskins. Work to prepare for the third phase of HSIP, which will entail an expansion of the data sets to possibly include full flight data as well as data from heath and usage monitoring systems (HUMS), will begin in early 2019 and is expected to be completed in early 2020. The first phase of HSIP was based on member companies sharing InfoShare reports via the HeliOffshore Space portal and also in face-to-face meetings — both of which are still part of the program. In the second phase, which began in 2018, operators started sharing flight operations data directly with HeliOffshore. The initial focus of HSIP is to get a comprehensive picture from the global fleet in key aspects of operations, such as approach path management and the reliability and resilience of equipment and maintenance processes. For instance, early analysis of return to base (RTB) data has highlighted an opportunity to reduce risk exposure by addressing the common causes of these events. It also will allow HeliOffshore to more accurately assess the effectiveness of safety products, such as helicopter terrain awareness and warning systems (HTAWS) as they are implemented by the operators. The RTB analysis, for example, was able to correlate a change in reported RTB events with a change in flight hours. Without that underlying rate data, it would have been difficult to determine the meaning of the change in the number of reported events. The RTB data project is part of the work HeliOffshore’s system reliability and resilience work stream is doing to gather and analyze data from HSIP on maintenance errors in order to identify the most common reliability issues. For operators and their oil company customers, this approach has the added benefits of potentially reducing costs and boosting confidence in the safety of operations among passengers. As the scope of the program is expanded, it has the potential to generate a wide range of data that support and validate multiple aspects of HeliOffshore’s work to enhance safety. “HSIP will also be a valuable guide for all aspects of our safety strategy,” said Matthew Greaves, HSIP program manager at HeliOffshore. “I suspect the data will show us some areas of risk in the frontlines that challenge our existing understanding. By bringing operators’ experiences together, the whole industry can benefit from the insights we gain from that larger dataset. HSIP can highlight risks that [some] individual operators have not experienced, but [that] others have. This is particularly true for some of the smaller operators. All operators can learn from others flying different aircraft types, and especially new types. The data can highlight industry-wide issues that are worth confronting together,” he said. An important aim of HSIP is to enable the causal analysis of safety events. Greaves cited the example of one HeliOffshore operator that, in response to a specific problem of failures on one aircraft type, changed the standard operating procedure; this seems to have eliminated the problem. “What we are hoping to do in situations like this is compare their outcomes with those of other operators to help build a bigger picture of the issue — that way, we can understand what is at the root of the results we are seeing,” he says. According to HeliOffshore, one of the most powerful things it can do for operators is to securely and anonymously show them how their performance compares to other operators in the industry. If, for example, one operator is approaching oil rigs at a very different groundspeed than other operators with the same type of aircraft, then it can feed that back to them to decide how to respond. “We are not trying to create a ‘one size fits all’ operation. Individual operators are best placed to assess their risk and decide how they should perform, or whether they should take any action. What we are able to do is give them the data that they did not previously have access to and see where they might want to put their effort,” says Greaves. One of the prerequisites for any safety data sharing initiative is a good safety reporting culture. According to Haskins, offshore aviation compares well with commercial scheduled fixed-wing transportation in terms of safety culture. “There is some variability across the world and across the operators, but overall, in both the rotary and fixed-wing industries, there is a strong reporting culture. People understand that safety reporting is about lesson learning and that it helps us to continually enhance safety,” she says. HeliOffshore is fostering this safety culture via face-to-face safety information exchange meetings held at least twice per year. “We have people from every corner of the globe sitting in a room together, and there is only one objective: to share safety information and solutions that are of value to the group. Participants cover a wide variety of topics. The value is that they speak honestly and openly, which benefits our whole industry. There truly is a free exchange of information amongst different organisations who are also competitors — and that is because they are putting safety first,” says Haskins. HeliOffshore aims to mimic safety management in air traffic control (ATC), where a good reporting culture is accompanied by automated back-up systems. “One of the things that is distinctive about ATC is the fact that automated systems are able to tell at any time if there is a loss of control. This is particularly useful in the case of perception errors. By their very nature, such errors cannot be reported by human operators because they go unnoticed. A good reporting culture is vital, but we can get some extra help from automated tools to take the safety benefits even further,” she says. The safety information initiatives are aligned with HeliOffshore’s safety strategy, which takes an approach similar to other organizations actively involved in the enhancement of offshore aviation safety performance, in particular, the aviation subcommittee (ASC) of the International Oil & Gas Producers (IOGP) association and Flight Safety Foundation’s Basic Aviation Risk Standard (BARS) program. BARS, which originally was established by the Foundation in conjunction with the on-shore mining and mineral resources industry, is designed to provide organizations that engage contracted aircraft operations with a standard to assist in the risk-based management of aviation activities. The BARS program comprises four components: a risk-based international aviation standard; an auditing program that is tailored to the standard; a range of aviation safety training programs; and a global safety data analysis program. HeliOffshore works closely with BARS, which also has developed a standard for offshore helicopter operations and a related implementation guidance document. In addition to being aligned with other programs like BARS, HeliOffshore tries to identify the things that humans and machines need to do well on a daily basis to prevent accidents. This leads to a more proactive, performance-based approach focused on actions that deliver frontline results. Haskins cites a report on a helicopter accident that was caused by system failures. “We know that one of the things you need to be good at to prevent system failures is the early diagnosis of any system failure before it happens. According to IOGP ASC’s guidelines and those of BARS, helicopters should have HUMS, and HUMS data should be downloaded on a regular basis. 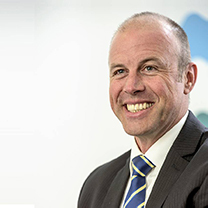 At HeliOffshore, we have worked with all stakeholders to develop standards, and to consider how we would measure or judge whether or not these standards are having the desired effect in the frontline. We are also trying to define what ‘good’ would look like in performance terms in order to foster innovation towards even better safety performance,” she says. The work of HeliOffshore is about treating people and machines as a single safety system and developing safety measures that can be implemented on the frontlines, This works best when the industry has early warning of leading indicators of potential safety risks, rather than having to wait for accidents to happen to learn lessons. “The measures we develop classify as early safety performance indicators; they tell how an organization is performing in enacting control mechanisms. We know that some accident outcomes have a series of causal factors, we look at what must go right in order to prevent an accident and how many times it actually goes right. If you see how well — or how poorly — a task is performed every day, then you can identify issues earlier, and, if one company is doing it much better than another, you can see that and share a best practice,” says Haskins. Linked to HeliOffshore’ safety strategy is the tailoring of equipment for offshore use. One example is the association’s work on enhanced HTAWS. “HTAWS is derived from the ground-proximity warning system (GPWS) in the fixed-wing world, and we are now looking at ways for tailoring the algorithms, and by doing so, HTAWS is going to give the pilots up to 24 seconds of additional warning time, which is a significant improvement,” says Haskins. The association also has been working on surface obstacle conflicts in order to appreciate how good line operators are at detecting and avoiding obstacles. “We are going to start sharing targeted FDM data. We have developed new thresholds that we believe could be used in the HTAWS and we want to start seeing if we could train the pilots to adopt these kinds of behaviors when they turn away from an obstacle so that they do it earlier as a procedure, as well as putting the new algorithms into new software,” says Haskins. Another safety effort led by HeliOffshore concerns the development of flight crew operating manuals (FCOMs). Because helicopters can be flown in multiple roles, the original equipment manufacturers (OEMs) historically have not published procedures describing in detail how to operate their equipment. Given the opportunity to enhance safety, the manufacturers have worked with HeliOffshore and its operator members to create FCOMs, says Haskins. With regard to the hostile operating environment, HeliOffshore has sponsored work on predicting the risk of triggered lightning, and operators and flight planning service providers have collaborated to analyze in what conditions it is safe to take off. Efforts also have concerned the effective use of HUMS, which can help determine whether any components have been damaged due to vibrations or the environment. “We have also started planning the next phase of the program. This will include expanding the scope of the requests for data and the members involved to take the program to the next level. By increasing the 4 V’s (volume, variety, velocity and voracity) of the data we are gathering, we can start to develop our analysis to really provide our members with the benefits that big data can offer. We are extremely excited about the potential for this project to change safety for the better,” concludes Greaves. Mario Pierobon is a safety management consultant and content producer. ICAO. Document 9803, Line Operations Safety Audit (LOSA). 2012. Mishandled autorotation, mis-rigged throttle control tie rod assembly cited in Schweizer 269 crash.